We offer an extensive line of stock wood displays, most of which are made in our Oceanside, CA millwork shop. We pride ourselves on making our displays with furniture-quality craftsmanship and with durability in mind. We utilize carb-compliant/NAUF and environmentally-friendly materials whenever possible, and our shop is one of the few FSC (Forest Stewardship Council) certified millwork operations in the industry. 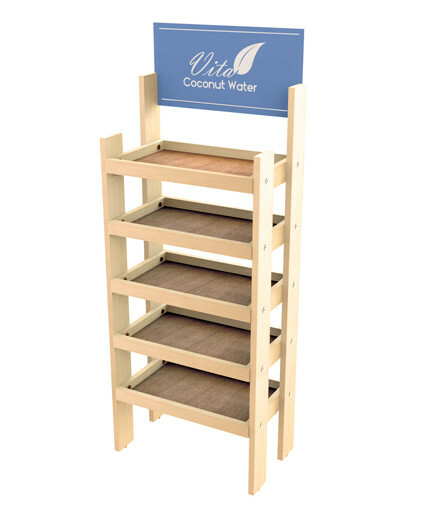 Our stock wood displays are manufactured using solid wood and wood-composite materials with various melamine finishes. Some of our wood displays incorporate other materials such as metal grids and acrylic. Most of our displays include or can be fitted with wheels, and all of them can accommodate header signs and additional graphics to promote your brand. 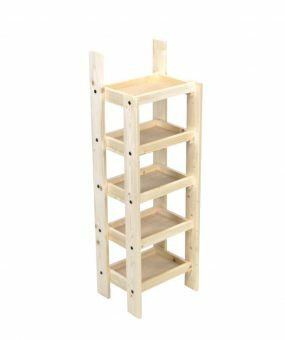 All of our stock units include shelves or grids which can be used to hang shelves, hooks, baskets, waterfall arms, straight-outs and other merchandising accessories. 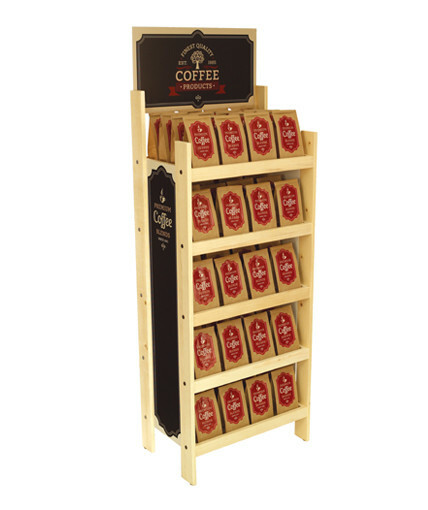 We design our wood displays to be knock-down so they are economical for shipping and storage. Our wood displays are ideal for many types of products, particularly natural, organic, and environmentally-conscious products. 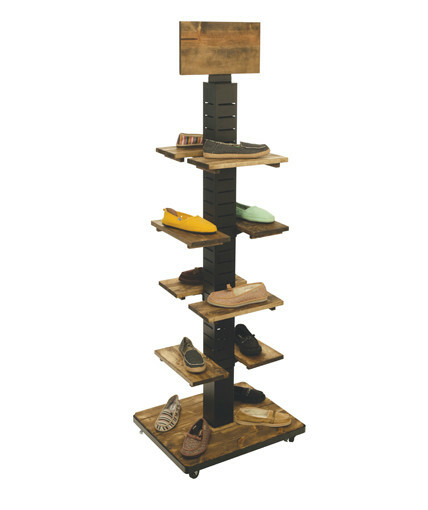 Our customers buy our wood fixtures to merchandise all types of apparel, food and beverage products, personal care products, pet products, outdoor retailer-oriented products, consumer electronics products, novelties, and a variety of other products. Wood displays are becoming increasingly popular in grocery stores, as well as many other types of retail venues such as hardware stores, specialty stores, apparel stores, and more. If you like one of our stock wood displays but are looking for a different material, stain, color, or finish, let us know, and we may be able to customize it for you. And, if you don’t see a stock fixture that works for you, we can work with you on a custom design that we can manufacture for you in our shop.